Meant to post this sooner but have just been busy with some things lately. Finally worked out the softness issue I was having (that what I get for using on old scene using old preferences *slap head*). But back to it, again re-sizing and adding more detail. The major trim pieces are about there, then it’s going to come down to the small details. 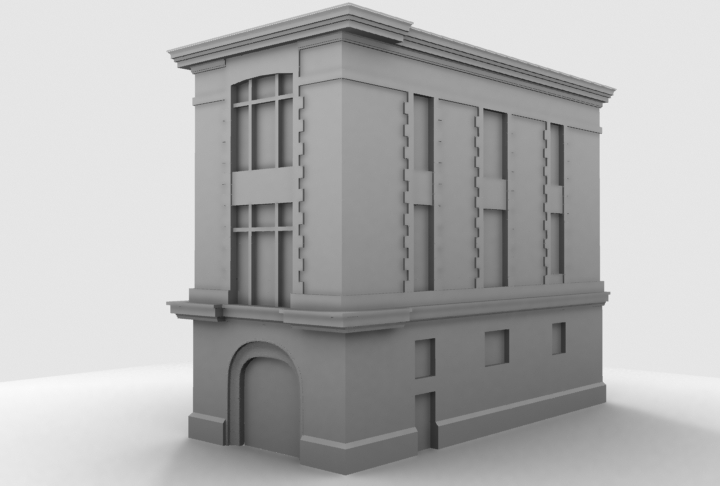 Ok so I have a little update for the firehouse, btw yes the building is a Firehouse more precisely the Ghostbusters Firehouse (Hook and Ladder 8 in NY). I only worked on it the past 2 nights for about an hour or so. 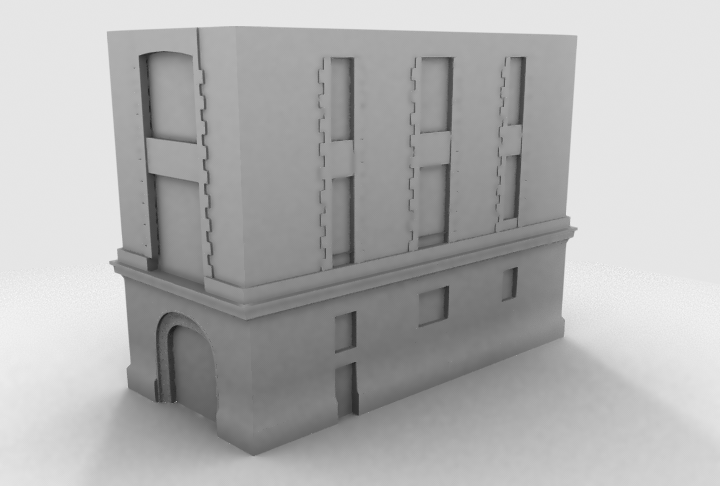 Having some time off coming up I’m planning to finish up the modeling and start the No Ghost sign in Zbrush, which will be my first journey in sculpting. Alot of whats been done is scaling for size and adding trim. 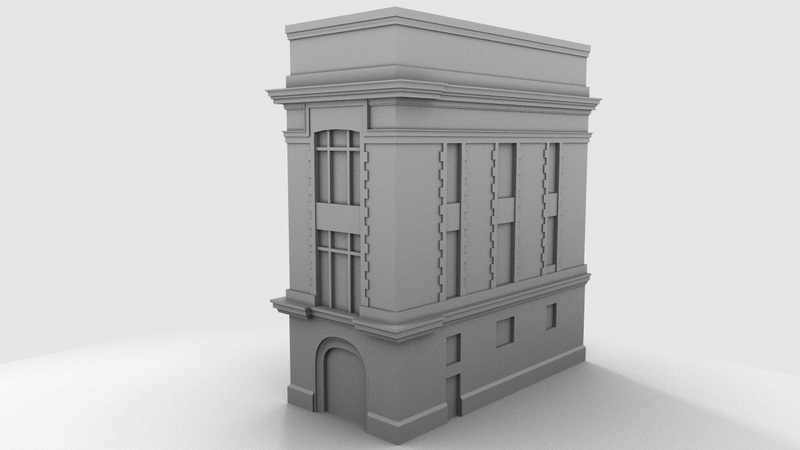 This is a building I’m doing for practice, what you see is 2 evenings worth of work so far. I’m giving myself only a few pictures to work from on this, as well as trying to keep it low poly and letting textures do most of the work. Tomorrow I plan to get the roof and some of the other details squared away, some of the time so far has been making sure it’s scaled properly as well as making it fit the reference. Until Tomorrow…..